"World history" redirects here. For the field of historical study, see Universal history. The history of the world is about the study of the cultural achievements of the entire human race. This includes the time from prehistory to the end of the 20th century and excludes natural history before the development of human beings. Modern human beings, called Homo sapiens ('wise man') have lived since about 250,000 years ago. At this time there were other species of human that were a little different to Homo sapiens. These include Homo erectus ('standing man') and Homo neanderthalensis ('man from Neanderthal'). The theory of human evolution is that humans slowly developed from other earlier species of human-like creatures. Biologists believe that Homo sapiens evolved in Africa and spread from there to all other parts of the world, replacing Homo neanderthalensis in Europe and the Homo erectus in Asia. Homo neanderthalensis, generally called Neanderthal Man, has this name because the cranium of a skull was found in the Neanderthal Valley in 1856: it was different from a modern skull. Skeletons had been found in other places since then. They had lived before modern humans, and had the knowledge to use tools and fire. When ancient stone tools are found, their style often shows whether they were made by Homo sapiens or whether they were made by a Neanderthal (see Palaeolithic). By the end of the Stone Age, it is believed that Homo sapiens were the only type of humans left. Climate has a very big effect on the way that humans live. Climate is different from one part of the world to another. Some areas are hot all the year, and some are cold. Some areas are dry all the year and others are wet. Most areas have climates that are warm or hot in the summer and cool or cold in the winter. Most parts of the world get rain at some times of the year and not others. Some parts of the world have seaside climates and others have mountain climates. All these things affect the way that humans live in different parts of the world. Climate has an effect on the types of food that can be found in different parts of the world. Everywhere that humans live, there is a staple food. This is the main food that most people eat, most of the time. A staple food is usually a grain or vegetable that is easy to grow. Staple foods found in different countries are wheat, maize, millet, rice, oats, rye, potatoes, yams, breadfruit and beans. Climate also affects the type of animals that are found or can be farmed in any area, which affects the types of meat that are available to eat. Climate also affects the buildings that people make, the clothes that they wear and the way that they travel. The climate on earth has not stayed the same through human history. There are long periods of time where it is generally warmer, and there are those where it is generally colder. When it is generally colder, there is more ice on the poles of the planet. That is why such a period is called an ice age. There have been many ice ages in the history of the earth. Two have affected humans. From 70,000 to around 10,000 years ago there was a big ice age which affected humans and the way that they lived. Between 1600 AD to around 1900 AD there was a period called the Little Ice Age when the climate was colder than usual. The word "Prehistory" means "before history". It is used for the long period of time before writing was invented and humans began to write down information about their lives. This time is divided into two main ages: the Paleolithic Age (or Early Stone Age) and the Neolithic Age (or late Stone Age). The two ages do not have fixed dates. The dates are different, depending on the way that people lived in different places. The end of prehistory varies from one place to another. It depends on the date when written documents of a civilization can be found. In Egypt the first written documents date from around 3200 BC. In Australia the first written records date from 1788 and in New Guinea from about 1900. In the Paleolithic era, there were many different human species. According to current research, only the modern human Homo sapiens reached the Neolithic era. The Paleolithic Era is by far the longest age of humanity's time, about 99% of human history. The Paleolithic Age dates from about 2.6 million years ago and ended around 10,000 BC. The age began when hominids (early humans) started to use stones as tools for bashing, cutting and scraping. The age ended when humans began to plant crops and have other types of agriculture. In some areas, such as Western Europe, the way that people lived was affected by the Ice age. In these places people moved towards agriculture quicker than in warmer places where there was always lots of food to gather. Their culture is sometimes called the Mesolithic Era (Middle Stone Age). During the Paleolithic Era humans grouped together in small bands. They lived by gathering plants and hunting wild animals. This way of living is called a "hunter-gatherer society". The hunting was probably done mainly by the men, being larger and stronger, while the food gathering was done by the women. The food that was hunted would have included small burrowing animals like rabbits, as well as birds and herds of animals like deer and cattle. The food that was gathered would have included grain of different sorts in different areas. Grain is often found growing on grasslands where herds of grass-eating animals are found. Other gathered foods were root vegetables, green vegetables, beans, fruit, seeds, berries, nuts, eggs, insects and small reptiles. Many Paleolithic bands were nomadic. They moved from place to place as the weather changed. They followed the herds of animals that they hunted from their winter feeding places to their summer feeding places. If there was drought or flood, or some other disaster, the herds and the people might move a long distance, looking for food. During the "Great Ice Age" a lot of the water on the Earth had turned to ice. The sea was much lower than it is now. It is believed that at this time people were able to walk from Siberia to Alaska. Although much of the area was covered with ice, there was a strip of land running down to the part of North America that is now the United States. Bands of Homo sapiens people travelled to that area from Asia. At that time there were rich grasslands with many large animals that are now extinct. It is believed that many groups of people travelled there over a long time and later spread to other parts of America, as the weather changed. Paleolithic people used tools of stone. Sometimes a stone tool was just a rock that was useful for smashing a shell or an animal's skull, or for grinding grain on another rock. Other tools were made by deliberately breaking rocks to make a sharp edge. The next development in stone tool making was to chip all the edges of a rock so that it made a pointed shape, useful for a spearhead, or arrow tip. Some stone tools are carefully "flaked" at the edges to make them sharp, and symmetrically shaped. Paleolithic people also used tools of wood and bone. They probably also used leather and vegetable fibers but these have not lasted from that time. Paleolithic people also knew how to make fire which they used for warmth and cooking. A horse, from Lascaux caves, in France, about 16.000 years old. Some cave paintings are 30,000 years old. The Neolithic era was marked by changes in society. During the Neolithic era, people started to settle down. They developed agriculture. They also domesticated animals, both of which took a very long time. Because of these two things, people did not have to migrate as much any more. Villages could grow to sizes much larger than before. Over thousands more years, humankind developed further intellectually, militarily and spiritually. Over time, villages fought and spread their control over a large area and developed into more advanced civilisations. When humans started to grow crops and domesticate certain animals such as dogs, goats, sheep, and cattle; their society changed. Because people now grew crops and raised livestock, they started to settle and built permanent settlements. In most places, this happened between 10,000 and 12,000 years ago. Their diet also changed. People ate more cereals and vegetables. People also started to store foods so that they would have seed to plant rather than simply to eat. In some years there were surpluses that could be traded for other goods. These changes occurred in several places of the world independently. They did not happen in the same order though. The earliest farming societies in the Near East did not use pottery. It is still unclear to what extent plants were grown in Britain, or if permanently settled communities existed at all. Early Japanese societies used pottery before developing agriculture. In the Paleolithic there were many different human species. According to current research, only the modern human reached the Neolithic era though. Vere Gordon Childe gave the name Neolithic Revolution to this process in the 1920s. He thought that it was as important as the Industrial Revolution (which happened in the 18th and 19th century). Ancient history was the time from the development of writing to the fall of the Roman Empire. The fall of the Roman Empire caused chaos in Europe, leading to the Middle Ages (also called the Dark Ages or the Age of Faith). Sumer was the world's first known ancient civilization. The Sumerians took over the fertile crescent region of Mesopotamia around 3300 BCE. By 3000 BCE, many cities had been built in Sumer. These cities were separated by the geography of Mesopotamia. They formed independently and each had their own government. They were called city-states and often fought with each other. Sumer grew crops on the Tigris and Euphrates rivers. A surplus in food led to a Division of labour. This means that some people were able to stop growing crops and do other jobs, since enough crops were already grown. This brought a split in society. Today, such a split is called social pyramid. In a social pyramid, people are grouped into social classes based on their wealth and power. In Sumer, the king, priests, and government officials were at the top of the social pyramid. Below them were the artisans, merchants, farmers, and fishers. At the bottom of the pyramid were slaves. Slaves were often prisoners of war, criminals, or people working to pay off debt. In Sumer, only the sons of the rich and powerful learned how to read and write. They went to a school called edubba. Only the boys who went to edubba could become scribes. The Sumerians created the world's first system of writing; it was called cuneiform. The oldest versions of one of the world's first literary works, the Epic of Gilgamesh, go back to this time. They also invented sun-dried bricks, the wheel, the ox plow, and were skilled at making pottery. They are also thought to have invented the sailboat. Other civilizations around this time were also built along major river systems. These civilizations are called river valley civilizations. River valley civilizations were the most powerful civilizations in this time period because water was needed to have an agricultural society. In the river system of Mesopotamia, after the Sumers, two other great civilizations rose to power: the Babylonians with their king Hammurabi (famous for the Codex Hammurabi) and the Assyrians. Just to the east was the long-lasting civilization of Elam. Ancient Egypt grew along the Nile river and was its most powerful in the second millennium BC. When it was its biggest, it went all the way from the Nile delta to a mountain called Jebel Barkal in Sudan. It was created around 3500 BC and probably ended at about 30 BC when the country was invaded by the Roman Empire. The society of ancient Egypt depended on a balance of natural and human resources, especially the irrigation of the Nile Valley so that Egyptians could grow crops. They are also known for writing in hieroglyphs, building the famous pyramids, other sorts of tombs and big temples and for their military. There was a great difference between classes in this society. Most of the people were farmers but they did not own the agricultural products they produced. These were property of the state, temple, or noble family that owned the land. There was slavery, but it is not clear how it was practiced. The rulers of ancient Egypt tried to keep their people happy by religion that made them respect the rulers and their past. The religion of Judaism formed about 1500 BCE in context with the Egyptian and Babylonian civilization. The first dynasty of Ancient China, the Shang Dynasty (商朝), has been carbon dated through Turtle shells with writing on them to back to about 1500 BC. They say China began as city-states in the Yellow River valley. At the end of the Zhou Dynasty lived the greatest Chinese philosophers: Kong Fuzi, founder of Confucianism, and Laozi, founder of Daoism. The Qin (秦) emperor Qin Shi Huang in 221 BC created the first centralized state in China based on his political philosophy of legalism and made everyone write the same way. He fought against Confucianism. He also started a precursor of the Great Wall. In 202 BC the Han Dynasty took over and developed an empire of similar strength as the Roman Empire and towards the end of its rule influenced by India introduced Buddhism in China. Map showing the largest extent of the Mauryan Empire in dark blue. The Indus Valley Civilization started from about 2600 BC to 1900 BC. It marked the beginning of the urban civilization on the subcontinent. It was centered on the Indus River and its tributaries. The civilization is famous for its cities that were built of brick, had a road-side drainage system and multi-storied houses. During the Maurya dynasty started in 321 BCE, most of the Indian subcontinent was united under a single government for the first time. Ashoka the Great who in the beginning sought to expand his kingdom, then followed a policy of ahimsa (non-violence) after converting to Buddhism. The Edicts of Ashoka are the oldest preserved historical documents of India, and under Ashoka Buddhist ideals spread across the whole of East Asia and South-East Asia. The Gupta dynasty ruled from around 320 to 550 AD. The Gupta Empire included only Central India, and the area east of current day Bangladesh, however this empire never included present-day Pakistan to the west. Gupta society was ordered in with Hindu beliefs. Historians place the Gupta dynasty alongside with the Han Dynasty, Tang Dynasty and Roman Empire as a model of a classical civilization. The Maya civilization is a civilization that started in Central America. They lived mostly on the Yucatán Peninsula in what is now known as Mexico, but also Honduras, Belize and Guatemala. They were the only known civilization of pre-Columbian America to have a fully developed written language. They also made great achievements in art and architecture and had a very advanced system of mathematics and astronomy. The area where the Maya civilization developed was inhabited from around the 10th millennium BC. The first Maya settlements were built there in about 1800 BC, in the Soconusco region. This is in the modern-day state of Chiapas in Mexico, on the Pacific Ocean. Today, this is called the Early Preclassic period. At the time, humans began to settle down permanently. They started to grow livestock. Pottery and small clay figures were made. They constructed simple burial mounds. Later they developed these mounds into step pyramids. There were other civilizations around, especially in the north, such as the Olmec, the Mixe-Zoque, and Zapotec civilizations. These people mostly lived in the area of the modern-day state Oaxaca. The exact borders of the Maya empire in the north are unclear. There were probably areas where Maya culture overlapped with other cultures. Many of the earliest significant inscriptions and buildings appeared in this overlapping zone. These cultures and the Maya probably influenced one another. There has been a long history of contact between Papuan peoples of the Papua New Guinea and the Aboriginal people. Aboriginal people seem to have lived a long time in the same environment as the now extinct Australian megafauna. Stories about that are told in the oral culture of many Aboriginal groups. The Hallstatt era is named after the city Hallstatt in Austria, where the first artifacts were found. It lasted from about 1200 BC to about 275 BC. There were different periods, which today are mainly told apart by the kinds of brooches used at the time. These brooches changed rather rapidly, and can therefore give us good guesses at to what time they came from. Hallstatt culture sites have been found in the east of France, in Switzerland, in the south of Germany, in Austria, in Slovenia and Croatia, northwestern Hungary, southwestern Slovakia and southern Moravia. The culture can be divided into an eastern and a western one quite easily; the dividing line runs through the Czech Republic, and Austria, between longitudes 14 and 15 degrees east. In this time, the social structure developed into a hierarchy. This can be documented by various things that were added to graves. 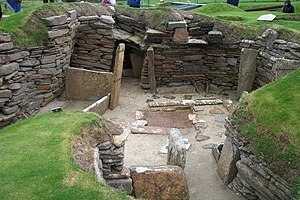 In the Bronze Age, people used to live in big settlements. As iron became available, trade routes changed. A new richer class evolved. Unlike before, these richer class people liked to live in big houses in the countryside, as a demonstration of their wealth. Funerals also changed, from cremation burials, to burials with stone coffins. The new upper class used their wealth for import goods, mostly from the Mediterranean. This shows the area of influence of the Hallstatt and La Tène cultures. The core territory where the people from the Hallstatt culture settled about 800 BC is shown in dark yellow. Their area of influence by about 500 BC is a lighter tone of yellow. The core territories of the La Tène culture by about 450 BC are in dark green; their sphere of influence by about 50 BC is in a lighter tone of green. The other labels and colors on the map show major Celtic tribes and their sphere of influence. Romans and Greeks came in contact with the culture. They called them Celts, usually. They wrote about them. The most important work about them was written by Julius Caesar. It is called On the Gallic War (De bello gallico). The Celts basically lived in clans. Each clan was headed by a leader, which came from the Druids or the Bards. Women were much better off than with the Romans, they were almost equal to men. Illyria  is the part of west-south Balkan Peninsula populated by Illyrians whose descendants are Albanians. Illyrians lived in tribunes such as Epirus, Dardania, Taulantia etc. They had their own language, the Illyrian language that was different from the Greek language and Roman language. At the year 1000 BC the population of Illyria is estimated to be around 500,000. What is known today as Ancient Greece is a very important period in history. Most people agree that it came after the Minoan and Mycenaean civilizations. It ended when the Romans invaded Greece, in 146 BC. Greek culture had a very powerful influence on later civilizations, especially the Romans. The Greeks developed what is now called a city-state, or a polis. There were many polises. Some of the more important ones were Athens, Sparta, Corinth and Thebes. The word politics comes from there. It literally means: things that are about the polis. Greek cities did not have much contact with each other, because of the mountains and many islands Greece is made up of. When a city no longer had enough food to care for all its citizens, some people were sent out to set up a new city. This was called a colony. Each city was independent, and ruled by someone within that city. Colonies also looked to the city where they originally came from for guidance. When Greece went to war (for example against the Persian Empire), there was an alliance of such city states, against the Persians. There were also many wars between different city states. There were many artists and philosophers who lived in that period. Most of them are still important for philosophy today. A well-known artist was Homer. He wrote epics about the war against the Trojans, and the early history of Greece. Other well-known artists were Aristophanes and Sappho. Well-known philosophers include Socrates, Plato, and Aristotle. A well known mathematician of the time was Euclid. Statesmen of the time were Pericles and Alexander the Great. Ancient Rome was a civilization that started in modern-day Italy, in the 8th Century before Christ. The civilization lasted for 12 centuries. It ended, when Mehmed II conquered Constantinople, on May 29, 1453. According to legend, the Roman civilization was founded by Romulus and Remus, in the year 753 BC. The Roman Empire developed in wars against Carthage and the Seleucid Empire. Julius Caesar conquered Gaul, modern France, and Augustus ended the Roman republic by becoming emperor. At its biggest extent, the empire covered all of the Mediterranean. Rome became so big, because it led war against other nations and then assimilated their culture. In 293, Diocletian organized a separate administration of the western and the eastern part of the empire. The capital of the western part was Rome, the capital of the eastern part was Constantinople. Constantine I was the first to stop discrimination against Christians (313). Christianity became state religion under the reign of Theodosius I. The western part of the empire had many problems with barbarians. In the 5th century, the Huns migrated westwards. This meant that the Visigoths moved into the empire, to seek protection. Rome was sacked by barbarians multiple times. On September 4, 476, the Germanic chief Odoacer forced the last Roman emperor in the west, Romulus Augustus, to quit. After about 1200 years, the rule of Rome in the West came to an end. The eastern part had similar problems. Justinian I managed to conquer parts of North Africa and Italy. Shortly after he died, all that was left were parts of Southern Italy, and Sicily. In the east, the empire was threatened by the Sassanid Empire. After the fall of Western Rome, the Germanic tribes that took over tried to learn from Roman civilization, but much was forgotten and up to the Renaissance not many achievements happened in Europe. But with the rise of Islam, many changes happened during the Islamic Golden Age. The Greek and Roman traditions were kept and further development took place. The Chinese civilization had a Golden Age during the Tang period, when their capital was the biggest in the world. During the Renaissance, Europe developed and made great advancements in many areas as well. In Arabia, Muhammad founded Islam in 632. His followers rapidly conquered territories in Syria and Egypt. They soon were a direct threat to the Byzantine Empire, that suffered from the Plague of Justinian. In the 8th and 9th centuries, the Byzantine Empire managed to stop Islamic expansion. They even reconquered some of the territories lost earlier. In 1000 A.D. the eastern Empire was at its height: Basileios II reconquered Bulgaria and Armenia. Culture and trade flourished. Soon afterward the expansion was abruptly stopped. This was in 1071, at the Battle of Manzikert. The battle lead the empire into a dramatic decline. For the Byzantine Empire this meant several centuries of civil wars and Turkic invasions. The Muslim caliphate had an Golden Age under the Abbasid. Their power forced Emperor Alexius I Comnenus of the Byzantine Empire to send a call for help to the West in 1095. The West sent the Crusades. These eventually led to the Sack of Constantinople. It was the participants of the Fourth Crusade who did that. Constantinople was conquered in 1204. Because of this, what was left of the Empire became fragmented into successor states. The winner of these disputes was that of Nicaea. After Constantinople was again conquered by imperial forces, the empire was little more than a Greek state on the Aegean coast. The Eastern Empire came to an end when Mehmed II conquered Constantinople on May 29, 1453. The Ottoman Empire took its place and from 1400 to 1600 was the most powerful empire in the Middle East and ruled at the southern and eastern coast of the Mediterranean Sea. The Tang Dynasty (618–907), with its capital at Chang'an (today Xi'an), was the biggest city in the world at the time and is considered by historians as a high point in Chinese civilization as well as a golden age of culture. 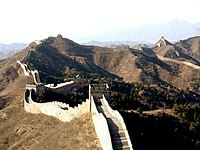 The Ming Dynasty ruled from 1368 to 1644. The Ming built a vast army and navy. From around the 6th–7th century. In South India, Chola kings ruled Tamil Nadu, and Chera kings ruled Kerala. They had trading relationships with the Roman Empire to the west and Southeast Asia to the east. In north India, Rajputs ruled in many kingdoms. In 1336, two brothers named Harihara I and Bukka founded the Vijayanagara Empire in an area which is now in the Karnataka state of India. The most famous king of this empire was Krishnadevaraya. In 1565, rulers of this empire were defeated in a battle. But the empire continued for about the next one hundred years. Northern India was ruled by Islamic sultans. The Heian Period in Japan is famous for its art, poetry and literature. The writing system, Kana, was developed. It was followed by the feudal period (1185–1853) during which samurai and daimyos were the leading figures and the shogun the real monarch whereas the tennō had only a role as religious head. Between the years 1272 and 1281 the Mongols tried to invade but were driven out by the Japanese. In 1542, a Portuguese ship reached Japan. Japanese learned about guns and firearms from them. Genghis Khan in 1209 brought together the Mongol tribes and founded the Mongol Empire, one of the largest land empires in history. Later Kublai Khan would go on to expand the empire and found the Mongol-ruled Yuan Dynasty of China. The empire later broke into several empires, all of which were later destroyed. The Middle Ages was the time from the fall of the Roman empire until the middle of the 15th century. From 500 to about 800 there was some decline compared with the Roman civilization. European villages were often destroyed and looted by barbarians such as the Vikings. During the High Middle Ages magnificent castles and large churches called cathedrals were built and important works of literature were written. In the later Middle Ages, there was a plague called the Black Death. The Black Death killed one-third to one-half of Europe's population. A system called feudalism was a very important part of the Middle Ages. In this system, the king was at the top of the social pyramid. The king gave land to the lord in exchange for loyalty. The lords were the next in the pyramid. The lords gave land (called a fief) to knights in exchange for loyalty and protection. The knights came next in the pyramid. Peasants were not part of the feudal system because they did not give or receive land. They worked on a lord's manor in exchange for protection. The Crusades were also fought during the Middle Ages. There is a theory that says the Crusades helped end the Middle Ages along with the Black Death, increased trade and better farming technology. The Renaissance started in Italy. Renaissance is a French word meaning "rebirth". The Renaissance meant that people learned from the ancient Greek and Roman or "classical" cultures that had been forgotten for some time. Artists learned from classical paintings and sculptures. So they reinvented perspective and the art of free standing realistic sculptures that had been characteristic in Greek and Roman art. Some famous Renaissance artists are Leonardo da Vinci, Michelangelo, and Raphael. The Gutenberg printing press, invented by Johannes Gutenberg, was also developed during this time. The Renaissance was also a time of great achievements in science (Galileo Galilei, Francis Bacon), philosophy (Thomas More) and literature (Dante Alighieri, William Shakespeare). What is known as the classical period lasted from about 250 to about 900. During this time, many monuments were constructed. There are also many big inscriptions from then. In this period, the Maya moved to building large cities. This is known as urbanism. Many important intellectual and artistic developments happened in an area that is known as the southern lowlands. Like the Ancient Greek, the Maya civilization was made of many independent city-states. Agriculture was important around these city states like Tikal and Copán. 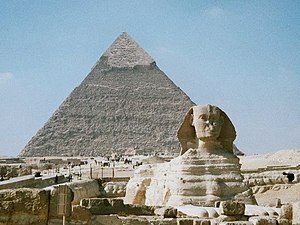 The most important monuments are the pyramids they built in their religious centers and the palaces of their rulers. The palace at Cancuén is the largest in the Maya area. There are no pyramids in the area of the palace. Other important things the archaeologists found include the carved stone slabs usually called stelae (the Maya called them tetun, or "tree-stones"). These slabs show rulers along with hieroglyphic texts describing their genealogy, military victories, and other accomplishments. The Maya also had trade routes that ran over long distances. They traded with many of the other Mesoamerican cultures, such as Teotihuacan, the Zapotec, and other groups in central and gulf-coast Mexico. They also traded with non-Mesoamerican groups, that were farther away. Archaeologists have found gold from Panama in the Sacred Cenote of Chichen Itza. Important trade goods were cacao, salt, sea shells, jade and obsidian. In the 8th and 9th century, the cities in the southern lowlands had problems, and declined. At the same time, the Maya stopped making big monuments and inscriptions. Shortly afterwards, these cities were abandoned. Currently, archaeologists are not sure why this happened. There are different theories. Either ecological factors played a role in this, or the cause of this abandonment was not related to the environment. In the north, development went on, form the 10th to about the 16th century. The influences from the outside left more traces in the Maya culture at that time. Some of the important sites in this era were Chichen Itza, Uxmal, and Coba. At some point, the ruling dynasties of Chichen and Uxmal declined. Afterwards, Mayapan ruled all of Yucatán until a revolt in 1450. The area then degenerated into competing city-states until the Yucatán was conquered by the Spanish. By 1250, there developed other city-states. The Itza maintained their capital at Tayasal. It ruled over an area extending across the Peten Lakes region, including the community of Ekckixil on Lake Quexil. Postclassic Maya states also survived in the southern highlands. One of the Maya kingdoms in this area is responsible for the best-known Maya work of historiography and mythology, the Popol Vuh. The Spanish started to conquer Maya lands. This took them much longer than with the Inca or Aztecs, because there was no capital city. This meant that when they had conquered one city, this had little influence on the whole empire. The last Maya states were finally subdued in 1697. The Maya people did not disappear though. There are still about 6 million of them. Some are well-integrated, others continue speak one of the Maya languages and uphold their cultural heritage. The Aztecs built an empire in Central America, mainly in Mexico. The empire lasted from the 14th to the 16th century. They spoke the Nahuatl language. Their capital was Tenochtitlan. It was built on islands in a lake. Tenochtitlan was one of the greatest cities of the world in that time. The Aztecs believed in polytheism. 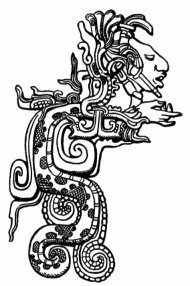 Quetzalcoatl (feathered snake), Huitzilopochtli (hummingbird of the south) and Tezcatlipoca (smoking mirror) were the most important Gods. Sometimes the Aztecs killed humans to please their gods. Between 1519 and 1521 the Spanish leader Hernán Cortés defeated the Aztecs and took their empire. Some Aztecs did not want to fight against the soldiers of Cortés, because they thought they were Gods. The Aztecs ate a lot of plants and vegetables that could be grown easily in the Mexico area. The main food that they ate was corn, which they called maize. Another food that they ate was squash. Aztecs also had a lot of harsh punishments for certain crimes. For the following crimes the punishment was death: adultery, wearing cotton clothes (cotton clothes were only for the nobles), cutting down a living tree, moving a field boundary making your land bigger, making someone else's smaller, major theft and treason. A view of Machu Picchu, "the Lost City of the Incas," now an archaeological site. The Incas were a civilized empire in western South America. The Incas are called a "pre-Columbian" empire. This means that their country was here before Christopher Columbus. They ruled parts of South America around what is now Peru for a little over 100 years, until the Spanish invasion in the 16th century. The Incan empire or Tawantinsuyo, meaning four regions in Quechua, only lasted for about 100 years as the arrival of the Spaniards in 1532 conquered them. Their main language was Quechua, but as the Incas were basically made up of many different groups there were probably many other different languages. Their capital was in the city of Cusco, or Qosqo, in what is now southern Peru. Manco Capac founded the first Inca state around 1200. It covered the area around Cusco. In the 1400s, Pachacuti began to absorb other people in the Andes. The expansion of the Inca Empire had started. The Inca Empire would become the biggest empire in the Americas before Columbus. In 1532, the civil war ended. The brothers Huascar and Atahualpa, fought for who would succeed their father. During this time, the Spanish conquerors took possession of the Inca territory. They were led by Francisco Pizarro. In the following years the conquistadors managed to extend their power over the whole Andean region. They suppressed successive Inca rebellions until the establishment of the Viceroyalty of Perú in 1542 and the fall of the resistance of the last Incas of Vilcabamba in 1572. The Inca civilization ends at that time, but many cultural traditions remain in some ethnic groups as Quechuas and Aymara people. Ancient Egypt and Carthage are well known civilizations of ancient Africa. But because there are not many written sources in large parts of Sub-Saharan Africa, the history of Africa is not easy to write about. But with new techniques such as the recording of oral history, historical linguistics and archeology knowledge has improved, not only for the empires and kingdoms of Ethiopia, Ghana, Mali, Nubia, Kush and Kerma. Tomatoes were introduced to Italy during the Columbian Exchange. It later became an important part of Italian cuisine. Colonization happened after Christopher Columbus discovered the Americas. European countries such as England, France, and Spain built colonies in the Americas. These settlers fought the native Americans to take over their land. The colonisation of the Americas was the beginning of modern times. An important part about discovering the Americas was the Columbian Exchange The Columbian Exchange brought new foods, ideas, and diseases to the Old World and New World, changing the way people lived. Historians believe that almost everyone as far as Asia was affected in some way by the Columbian Exchange. Protestant Reformation started with Martin Luther and the posting of the 95 theses on the door of the castle church in Wittenberg, Germany. At first he protested against corruption such as simony or the sale of indulgences. But then it became clear that he had different ideas about the church doctrine. He thought that Christians should only read the Bible to find out what God wants from them. That meant that they did not need priests (see: Five solas). The three most important traditions that came directly from the Protestant Reformation were the Lutheran, Reformed (Calvinist, Presbyterian, etc. ), and Anglican traditions. The Counter-Reformation, or Catholic Reformation, was the Catholic Church fighting the Protestant Reformation. New religious orders, such as the Jesuits were founded and missionaries sent around the world. Decisions were taken at the Council of Trent (1545–1563). The Industrial Revolution started in Great Britain. It brought many advances in the way goods were produced. These advances allowed people to produce much more than they needed for living. The early British Empire split as its colonies in America revolted to establish a representative government. The French Revolution lead to massive political change in continental Europe, as people following the ideas of Enlightenment asked for human rights with the slogan liberté, egalité, fraternité (liberty, equality, ). That led to the Declaration of the Rights of Man and of the Citizen, but also to terror and the execution of King Louis XVI. The French leader, Napoleon Bonaparte, conquered and changed Europe through war up to 1815. As more and more small property holders were granted the vote, in France and the UK, socialist and trade union activity developed and revolution gripped Europe in 1848. The last of serfdom were abolished in Austria-Hungary in 1848. Russian serfdom was abolished in 1861. The Balkan nations began to regain their independence from the Ottoman Empire. After the Franco-Prussian War, Italy and Germany became unified in 1870 and 1871. Conflict spread across the globe, in a chase for empires. The search for a "place in the sun" ended with the outbreak of World War I. In the desperation of war, the Russian Revolution promised the people "peace, bread and land". The defeat of Germany came at the price of economic destruction, which was written down in the Treaty of Versailles. From 1644 to 1912 the Qing or Manchu Dynasty ruled China. The dynasty was founded by the Manchu clan in northeast China (Manchuria). It expanded into China proper and its surrounding territories, establishing the Empire of the Great Qing. Its military power weakened during the 1800s, and faced with international pressure, massive rebellions and defeats in wars, the Qing Dynasty declined after the mid-19th century. It was overthrown in 1912. During the Edo period, Japan had many small rulers. There were about 200 of them, called the daimyo. Out of them, the Tokugawa clan was most powerful. They ruled from a place called Edo. This place was around the present day’s Tokyo. For fifteen generations they were the most powerful clan in Japan. Beginning from the early 17th century, the rulers (known as shogunate) started a policy of , known as sakoku in Japanese language. They suspected that traders, merchants and missionaries wanted to bring Japan under the control of European powers. Except the Dutch and the Chinese, all foreigners, traders and merchants from other countries, missionaries were no longer allowed into Japan. Still even during the period of seclusion, Japanese continued to gain information and knowledge about other parts of the world. This policy of seclusion lasted for about 200 years. It ended 1868 with Meiji Restoration, when the emperor took over again and started a lot of reforms. The Mughal Empire existed from 1526 to 1857. When it was biggest it ruled most of the Indian subcontinent, then known as Hindustan, and parts of what is now Afghanistan. It was founded by Babur in 1526 and ruled until 1530. Its most important ruler was Akbar (1556–1605). After the death of Aurangjeb (1658–1707), the Mughal Empire became weak. It continued until 1857. By that time, India came under the British Raj. Settlement by the Spanish started the European colonization of the Americas, it meant genocide of the native Indians. The Spanish gained control of most of the Caribbean and conquered the Aztecs. So they founded the Spanish Empire in the New World. The first successful English settlements were in North America at Jamestown (Virginia), 1607 (along with its satellite, Bermuda in 1609) and Plymouth (Massachusetts), 1620. The first French settlements were Port Royal (1604) and Quebec City (1608). The Fur Trade soon became the primary business on the continent and as a result transformed the Native Americans lifestyle. Plantation slavery of the West Indies lead to the beginning of the Atlantic slave trade. Rivalry between the European powers created a series of wars on the North American landmass. The American Revolution led to the creation of the United States of America. Spain's hold on its colonies weakened till it had to give them independence. The United States expanded quickly to the west. At the same time, British built more in Canada. During the 15th century the Portuguese began exploring Africa. At the Guinea coast they built their first fort in 1482. They started slave trade after the European discovery of America in 1492 to supply settlers from there with workers. Soon English, Spanish, Dutch, French and Danish built their forts as well. But their influence on the inland was minor (except from of population by slave trade) till during the 19th century larger colonies were founded. The 20th century was a very important time in history. New technology and different ideas led to many worldwide changes in the time of just 100 years. World War I was a war fought from 1914 to 1918. During the time of the war, it was called "The Great War", or "The War to End All Wars". Chemical poisons, tanks, aeroplanes, and bombs were used for the first time. These were causes that made it likely that a war would start in Europe. The "spark" that started the war was the assassination of the heir to the throne in Austria-Hungary: Archduke Franz Ferdinand by a group of young Serbians. Austria-Hungary declared war on Serbia and each country's allies then joined the war. This created a bigger conflict which turned into World War I.
Europe divided into two groups of allies: the Central Powers and the Allied Powers (the "Allies"). The Central Powers were made up of Germany, Austria-Hungary, the Ottoman Empire and Bulgaria. The Allies were made up of Britain, France, Russia, Italy and the United States. World War I was fought on two fronts; the Eastern Front and the Western Front. Trench warfare was commonly used on the Eastern Front. Because of a British blockade, Germany began using U-boats, or submarines, to sink British ships. After the sinking of two ships with Americans on board, and the public release of the Zimmermann Note, The U.S. declared war on Germany, joining the Allies. On November 11, 1918, Germany signed the armistice, meaning "the laying down of arms", to end the war. After the war ended, the Treaty of Versailles was written and Germany was made to sign it. They had to pay $33 million in reparations (payment for damage). After the war the German Empire, the Russian Empire, the Ottoman Empire and Austrian Empire ended and France and Britain got weaker. The 1920s and 1930s had military-related fascist dictators take control of Italy, Germany, Japan and Spain. They were helped by the Great Depression starting in 1929. When Hitler in 1933 had gained power in Germany he prepared World War II. A picture of the Nagasaki bomb. Of all the wars ever fought, World War II involved the most countries and killed the most people. More than 60 million people died, making it the worst disaster of all time. It lasted six years in Europe, from 1939 to 1945. It was fought between the Axis Powers (Germany, Italy and Japan) and the Allied Powers. At first the Axis Powers were successful, but that ended in Europe with the Battle of Stalingrad in 1943 and the invasion in Normandy in 1944. But Hitler was able to pursue his plan to annihilate Jews nearly all over Europe. Today, this plan is called the Holocaust. In the Pacific it ended with the battles of Midway and Guadalcanal. Germany surrendered on May 8. The atomic bombs on the cities of Hiroshima and Nagasaki led Japan to surrender on August 15, 1945. After World War II the United Nations was founded in the hope that it could solve arguments among nations and keep wars from happening. Communism spread to Central and Eastern Europe, Yugoslavia, Bulgaria, Romania, Albania, North Vietnam and North Korea. In 1949, China became communist. During the 1950s and 1960s, many third world countries became communist. This led to the Cold War, a forty-year argument between the United States, the Soviet Union, and their allies (mainly countries that were members of NATO or the Warsaw Pact). Each country wanted to promote their type of government. The Soviet Union wanted to spread communism, and the United States wanted to spread democracy. People across the world feared a nuclear war because of the tension. Communism became less popular when it became clear that it could not promote economic growth as well as Western states and that it was not suited for a reform that allowed freedom of speech for everybody. Therefore the Soviet Union forced Hungary to give up its reform in 1956, it favoured the building of the Berlin Wall in 1961 and it stopped reform in Czechoslovakia in 1968. When in 1988/89 Gorbachev made clear that he would not force the countries of the East block to stick to Communism the Berlin Wall was torn down in 1989 and the Soviet Union collapsed (1991). Then the United States was the only superpower left. After Mao Zedong's death China's communist party proved that economic reform was possible without political freedom and paved the way for enormous economic growth. As the 20th century ended, the European Union began to rise and included former satellite states and even parts of the Soviet Union. States in Asia, Africa and South America tried to copy the European Union. The twentieth century was a time of great progress in terms of technology. People began to live longer because of better medicine and medical technology. New communications and transportation technologies connected the world. But these advances also helped cause problems with the environment. The last half of the century was the rise of the information age and globalisation. These two things increased trade and cultural exchange. Space exploration expanded all through the solar system. The structure of DNA was discovered. The same period also raised questions about the end of human history because of unmanaged global dangers: nuclear weapons, greenhouse effect and other problems in the environment. As the 20th century ended and the 21st century started, people relying on one another to deal with common dangers could be achieved. Some scientists referred to this as a "Planetary Phase of Civilization". ↑ "Human Ancestors Hall: Homo neanderthalensis". http://anthropology.si.edu/humanorigins/ha/neand.htm. ↑ "Little Ice Age definition". Earth Observatory. http://eobglossary.gsfc.nasa.gov/Library/glossary.php3?xref=Little%20Ice%20Age. Retrieved 2007-08-02. ↑ "Homeschool Teachers Lounge – Prehistory:The Time Before Writing". http://www.geocities.com/terriebittner/prehistory.html. ↑ 5.0 5.1 Nicholas Toth and Kathy Schick (2007). Handbook of Paleoanthropology. Springer Berlin Heidelberg. pp. 1963. ISBN 978-3-540-32474-4 (Print) 978-3-540-33761-4 (Online) . http://www.springerlink.com/content/u68378621542472j/. ↑ "Early Man in North America: The Known to the Unknown". University of Yale. http://www.yale.edu/ynhti/curriculum/units/1980/2/80.02.07.x.html. ↑ Heather Pringle. "The Slow Birth of Agriculture". http://cas.bellarmine.edu/tietjen/images/neolithic_agriculture.htm. ↑ ""History 504.02 lecture notes"". Ohio State University. http://isthmia.osu.edu/teg/hist50402/lec01.htm. ↑ Habu, Junko (2004). Ancient Jomon of Japan. Cambridge University Press. pp. page 3. ISBN 0-521-77213-3 (HB), ISBN 0-521-77670-8 (PB) . ↑ Japan Echo, Inc. (June 22, 1999). "Jomon Fantasy: Resketching Japan's Prehistory" (html). Trends in Japan. http://web-japan.org/trends00/honbun/tj990615.html. Retrieved 2008-04-14. ↑ Keally, Charles T. (2004). "'Fakery' at the Beginning, the Ending and the Middle of the Jomon Period". Bulletin of the International Jomon Culture Conference 1. http://www.jomon.or.jp/ebulletin11.html. Retrieved 2008-04-14. ↑ "Social classes in ancient Egypt". Digital Egypt for Universities, University College London. http://www.digitalegypt.ucl.ac.uk/social/index.html. Retrieved 2007-12-11. ↑ "Indus civilization". Encyclopædia Britannica. (2007). Retrieved on 19 October 2008. ↑ "The Illyrians by John Wilkes". http://books.google.com/books?id=4Nv6SPRKqs8C&dq=The+illyrians&printsec=frontcover&source=bn&hl=en&ei=99hcSvnpIoOOnQPQhszjAQ&sa=X&oi=book_result&ct=result&resnum=4. ↑ 27.0 27.1 Korkut Ozgen. "Mehmet II". Theottomans.org. http://www.theottomans.org/english/family/mehmet2.asp. Retrieved 2007-04-03. ↑ Romulus and Remus where the Children of Mars, who d Rhea Silvia. Rhea Silvia was a Vestal Virgin. She was the daughter of a king. Aeneas was her ancestor. As they were the children of Mars, Romulus and Remus were demigods. When they were babies, they were thrown into the Tiber river. Later, they were raised by a wolf. When they were big, they founded the city of Rome. Romulus killed Remus in a fight. The fight was because they could not agree who would be the first king. ↑ Ralph W. Mathisen (February 17,1997). "Diocletian (284-305 A.D.)". De Imperatoribus Romanis. http://www.roman-emperors.org/dioclet.htm. ↑ This division became permanent after the death of Theodosius I in 395.Ralph W. Mathisen (June 2, 1999). "Honorius (395-423 A.D.)". De Imperatoribus Romanis. http://www.roman-emperors.org/honorius.htm. Retrieved 2007-03-21. ↑ "The Germanic Invasions of Western Europe". The University of Calgary. August 1996. http://www.ucalgary.ca/applied_history/tutor/firsteuro/invas.html. Retrieved 2007-03-22. ↑ Ralph W. Mathisen and Geoffrey S. Nathan (1997-8-26). "Romulus Augustulus (475-476 A.D.)--Two Views". De Imperatoribus Romanis.. http://www.roman-emperors.org/auggiero.htm. Retrieved 2007-03-22. ↑ Duiker, 2001. page 347. ↑ 34.0 34.1 Richard (1999-6-6). "The Byzantine Empire". Washington State University. http://www.wsu.edu/~dee/MA/BYZ.HTM. Retrieved 2007-04-08..
↑ Catherine Holmes (2003-4-1). "Basil II (A.D. 976-1025)". De Imperatoribus Romanis. http://www.roman-emperors.org/basilii.htm. Retrieved 2007-03-22..
↑ Gibbon, Edward. History of the Decline and Fall of the Roman Empire. Chapter 61. Accessed 2007-4-11. ↑ (a) Tertius Chandler, Four Thousand Years of Urban Growth: An Historical Census, Lewiston, NY: The Edwin Mellen Press, 1987. ISBN 0-88946-207-0. (b) George Modelski, World Cities: –3000 to 2000, Washington DC: FAROS 2000, 2003. ISBN 0-9676230-1-4. ↑ This feudal system is similar to that in Japan, where the knights were called samurai. ↑ "Maya Art Return". http://www.archaeology.org/9901/newsbriefs/maya.html. Retrieved 2006-12-25. ↑ This city's name is perhaps the source of the word "Maya", which had a more geographically restricted meaning in Yucatec and colonial Spanish. It only grew to its current meaning in the 19th and 20th centuries. ↑ * "The Spanish Conquest of Yucatán (1526-46)". Athena Review 2 (1). 1999. http://www.athenapub.com/yuconq1.htm. Retrieved 2006-07-25. ↑ Kevin R. Schwarz. "Understanding the Classic to Postclassic Architectural Transformation of Rural Households and Communities in the Quexil-Petenxil Basins, El Petén, Guatemala". http://www.famsi.org/reports/02007/index.html. ↑ The Columbian Exchange: Plants, Animals, and Disease between the Old and New Worlds in the Encyclopedia of Earth by Alfred W. Crosby. ↑ MacCulloch, Diarmaid. The Reformation: A History. New York: Penguin 2003. ↑ They had been groups of principalities before. ↑ Beasley, W. G. (1972). The Meiji Restoration. Stanford, California: Stanford University Press. ISBN 0-8047-0815-0 . ↑ "First World War.com Primary Documents: Archduke Franz Ferdinand's Assassination, 28 June 1914". 2002-11-03. http://www.firstworldwar.com/source/harrachmemoir.htm. Retrieved 2008-02-17. ↑ Ashworth, Tony. Trench warfare 1914–1918, 2000: Macmillan Press, London. ↑ "The illusion that Communism was reformable, that Stalinism had been a wrong turning, a mistake that could still be corrected [...] that illusion was crushed under the tanks on August 21st 1968 and it never recovered." Judt, Tony (2005). Postwar: A History of Europe Since 1945. Penguin Press. pp. 447. ISBN 1-59420-065-3 . ↑ "The Discovery of DNA - a photo finish". http://fig.cox.miami.edu/~cmallery/150/gene/DNAdiscovery.htm. Chauvet, Jean-Marie; Eliette Brunel Deschamps, Christian Hillaire (1996). Dawn of Art: The Chauvet Cave. Paul G. Bahn (Foreword), Jean Clottes (Epilogue). New York: Harry N. Abrams. Clottes, Jean (2003a). Return To Chauvet Cave, Excavating the Birthplace of Art: The First Full Report. Thames & Hudson. pp. 232. Coe,Michael D. (2002). The Maya (6th edition ed.). Thames & Hudson. Drew, David (2004). The Lost Chronicles of the Maya Kings (New edition ed.). London: Phoenix Press. Duiker, William; Spielvogel, Jackson (2001). World History (Third edition ed.). Wadsworth. This page was last changed on 31 January 2018, at 08:02.